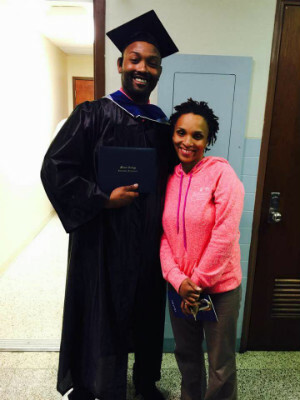 Kal-el Anderson, a graduate of the Training Fund's GED to College Success Program, graduated from Manor College in Spring 2015 with an Associate's Degree in Arts and Science, with a Paralegal Concentration. He was a member of Manor's Alpha Beta Gamma Honors Society for business students with a GPA of 3.0 higher. Kal-el has been accepted to La Salle University in Philadelphia, where he will study Marketing & Business Administration, with a minor in Political Science. After La Salle, he plans to attend law school. At his graduation, Kal-el explained, "This could not have happened without the Training Fund and the love and support I received while I was a student there, and whenever I came to visit." "I have seen a huge change in this young man since the first time he walked through the Training Fund doors," said Nia Eubanks-Dixon, the Fund's Youth Programs Coordinator. "He has a great future ahead of him."